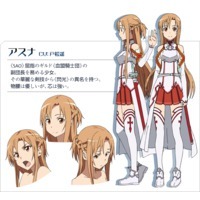 Asuna Yuuki is a character from the anime Sword Art Online. 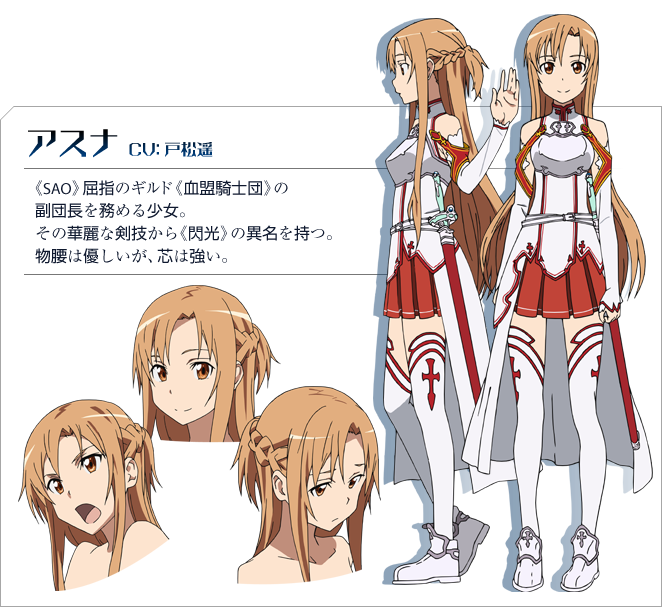 Asuna is a friend of Kirito and is a sub-leader of the guild Knights of the Blood (KoB), a medium-sized guild of about thirty players, also called the strongest guild in Aincrad. 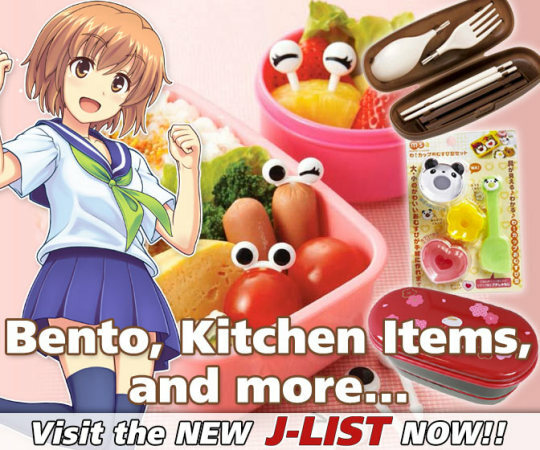 Being one of the few girls that are in SAO, and even more so that she's extremely pretty, she receives many invitations and proposals. She is a skilled player earning the title "Flash" for her extraordinary sword skill that is lightning fast. Her game alias is the same as her real world name.